Peking University HSBC Business School, one of the newest and most promising business schools in China, is proud of its accomplishments in the area of graduate education. The Master of Economics program focuses on a core curriculum in economic theory and applications. This is a two year, full-time program in which international students learn alongside Chinese peers in an environment of cross-cultural dialogue. All courses are instructed exclusively in English, as is all academic support provided by faculty, TAs, and staff members. The faculty members of this program have earned their PhD degrees from top-ranked universities over the world. This is program has been granted EPAS accreditation by the European Foundation for Management Development (EFMD). *The Masters of Economics program curriculum is heavily quantitative based and therefore requires students to have a high level of mathematical skills. It is recommended that students who apply for this program have an undergraduate degree in a related or quantitative field such as economics, finance, mathematics, engineering, etc. It's strongly recommended that students have taken courses in both Economics and Mathematics. Economics courses that are recommended are Principle Economics, Intermediate to Microeconomics and Macroeconomics and Econometrics. Math courses that are recommended are Linear and Matrix Algebra, Multivariable Calculus and Real Analysis. Please note that this is the curriculum for 2018, curriculum for 2019 is soon to be confirmed. 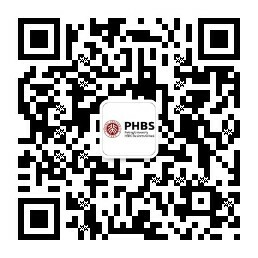 To obtain the Master of Economics degree from Peking University HSBC Business School, students are required to fulfill 54 credits in 19 courses, including 11 required courses, 7 elective courses (minimum of 6 major elective courses and up to 1 non-major elective courses, complete 1 required course that does not count for credit (Graduate Thesis Seminar) and complete a Master’s thesis and thesis defense. The math requirement is assessed with a math exam before the official start of courses. Students will earn the course credits only if they successfully pass course examinations. For required courses and elective courses, students need to pass by earning a score of D or above. Those who fail in the required course must retake the course Students should achieve a grade average of 80 (B) or above in order to graduate. Failing any combination of two required courses or major electives twice, failing three required courses in one semester, or failing one course three times results in the inability to complete the degree and withdrawal from the program. This is a two-year postgraduate program. Those who have difficulty completing the required coursework can apply to extend their studies by half a year to one year at the beginning of the second academic year. The tuition cost of the extended period will be significantly lower than traditional tuition fees, but will be covered entirely by the student himself/herself. Industrial Organization, Institutional Economics, Public Economics, Human Resource Economics..
Advisors: Chia-Shang J. Chu,Chunyang Wang , David Lander, Guy Liu ,Haifeng Huang, Juan Yang,Insook Lee ,Jiao Shi,Marshall Urias,Qian Chen,Qing Wang, Wen Hai,Young Joon Park, Zhenda Yin , Yang Xu,Zhimin Li, Zhiyong Tu ,Zhutong Gu. * Please refer to class schedule for elective courses' availability. The Master of Management program covers core coursework such as management economics, organization behavior. This is a two year, full-time program in which international students learn alongside Chinese peers in an environment of cross-cultural dialogue. All courses are instructed exclusively in English, as is all academic support provided by faculty, TAs, and staff members. The faculty members of this program have earned their PhD degrees from top-ranked universities over the world. To obtain a Master of Management degree from Peking University HSBC Business School, students are required to fulfill 54 credits (including 14 required courses, 2 major elective courses and 2 general elective courses) complete 1 required courses that do not count credits (Graduate Thesis Seminar) and complete a Master’s thesis and defense. Students will earn the credits only if they pass course examinations. For required courses and elective courses, students need to pass by earning a score of 70 (D) or above. Those who fail a required course will retake the course. Students who fail the same required course two times or fail any 3 courses within one semester will be removed from the program and not receive their master's degree. This is two year postgraduate program. Those who have difficulty completing the required coursework can apply to extend their studies by half a year to one year. The tuition cost of the extended period will be significantly lower than traditional tuition fees, but will be covered entirely by the student himself/herself. The Finance program provides specialist training in finance for international students. The master's degree in the finance program focuses on a core curriculum in financial theory and applications. This is a two-year, full-time program in which international students learn alongside Chinese peers in an environment of cross-cultural dialogue. All courses are instructed exclusively in English, as is all academic support provided by faculty, TAs, and staff members. The faculty members of this program have earned their PhD degrees from top-ranked universities over the world. *The Masters of Finance program curriculum is very quantitative based and therefore requires students to have a very high level of mathematical skills. It is recommended that students who apply for this program have an undergraduate degree in a related or quantitative field such as economics, finance, mathematics, engineering, etc. To obtain a Master of Finance degree from Peking University HSBC Business School, students are required to fulfill 54 credits (including 14 required courses, 3 major elective courses and 1 general elective courses), complete 1 required course that do not count credits (Graduate Thesis Seminar) and complete a Master’s thesis. This is two year postgraduate program. Those who have difficulty completing the required coursework can apply to extend their studies by half a year to one year at the beginning of the second academic year. The tuition cost of the extended period will be significantly lower than traditional tuition fees, but will be covered entirely by the student himself/herself.